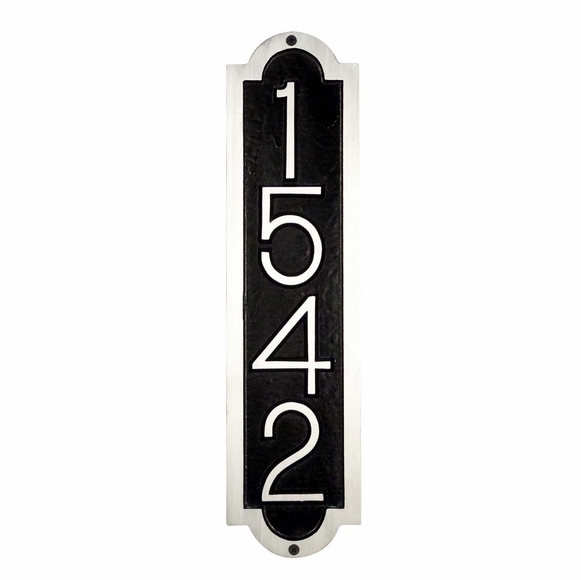 Vertical House Number Sign - - 17.25" high cast aluminum personalized house number address plaque for narrow spaces. Wall mount. Made in USA. Stunning brushed aluminum border accentuates the sign's hybrid shape. Two font styles: sleek Times font (large image and small image on right) and thick Bold Italic font (small image on left). Vertical address sign with 3" numbers fits into tight spaces.